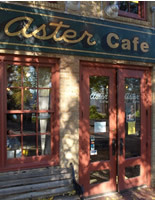 Recently reopened by the team from Excelsior's 318, Aster manages to get a lot of mileage from it's charms. It's picturesque location in St. Anthony Main is certainly one of them. 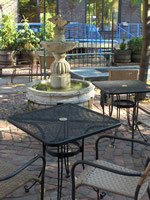 This is the place to squander a few hours dreaming of Paris with a bottle of fine Rhone Rouge ($39). And when the glasses of house red or white are only $4.75, How can you go wrong? 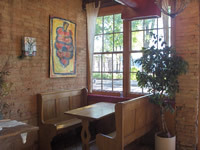 The former hole-in-the-wall coffee shop had a quiet and unassuming existence for 15 years before closing in April. In May however, new owners reopened the place with the ambition of turning it into a music haven.